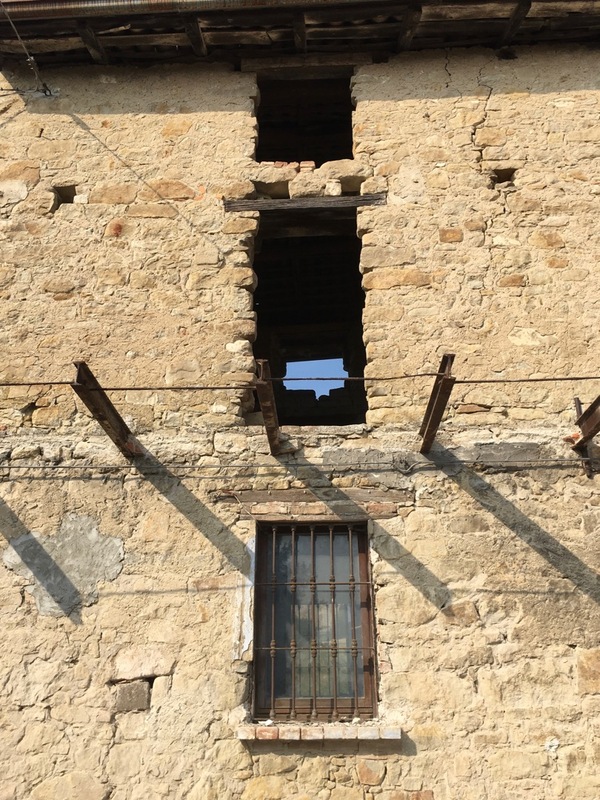 Hear ye, hear ye: the restructuring of Oltrella Country House has finally begun! After months of anticipation and impatience, a time that felt endless, we finally made it and kicked off the work. In our impatience and inexperience, we were naturally putting the blame for all delays on the Italian bureaucracy. To be honest however, we were wrong. Bureaucracy is certainly known for taking its time, but the truth is that such a project actually requires time, a lot of time. 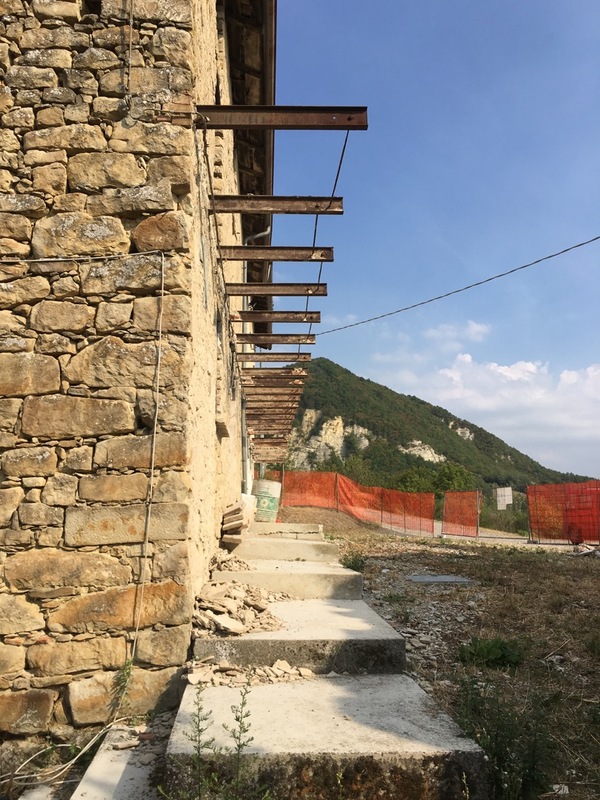 Since we are renovating an old stone house, charming but potentially unstable, the project necessarily includes consolidation work to secure it and adapt it to current standards. But a large part of all this is now completed, the project has been approved and the construction company selected. 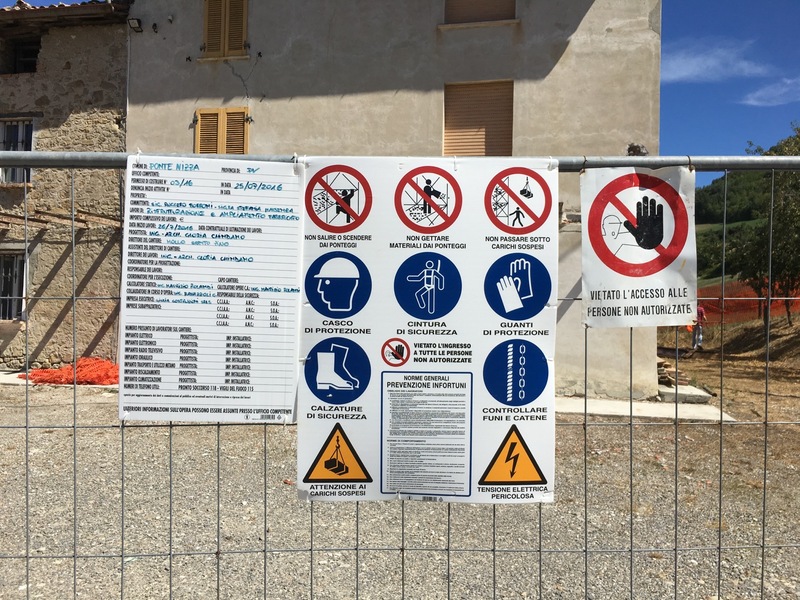 The work has just begun, our property is now a construction site. To begin with, we had the demolition of the old balcony, that will be rebuild anew. 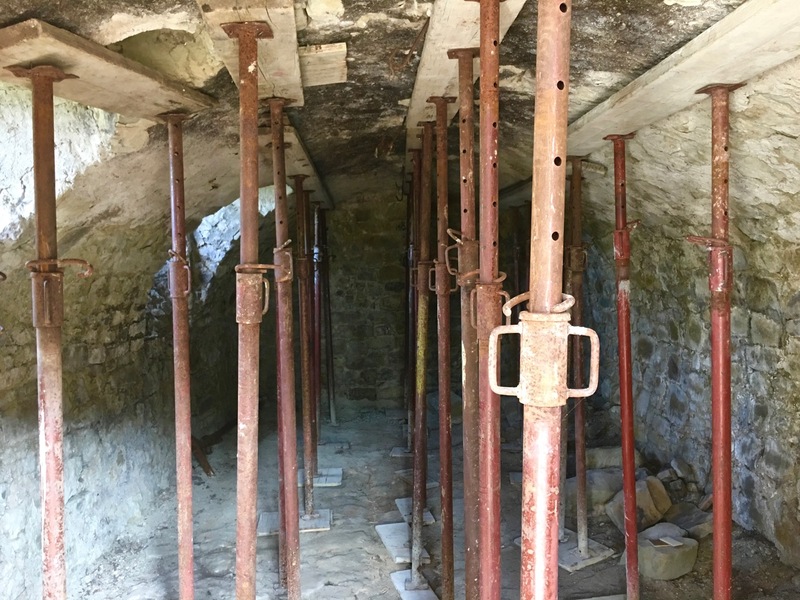 Then the old cellar was propped up (our precious cellar with a vaulted ceiling! ), and later will be reinforced. Stone walls are being stripped from old patches to make any cracks or holes visible and repair them. Next up, floors and non-load-bearing walls will be demolished as well, to be rebuilt according to the architect’s project. Before demolishing the floors, workers are delicately removing and storing away, one by one, the terracotta floor tiles. The tiles will be then placed back once the floors are rebuilt…. 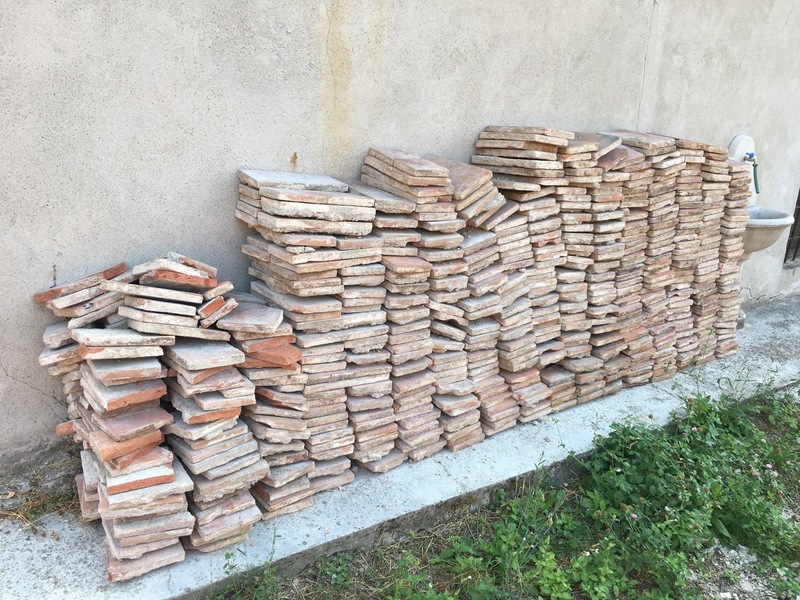 it would be a pity to throw away an antique terracotta floor, wouldn’t it?